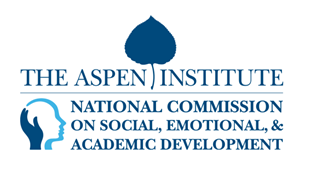 A few weeks ago, a 28-member council of researchers working under the aegis of the National Commission on Social, Emotional, and Academic Development at the Aspen Institute released The Evidence Base for How We Learn: Supporting Students’ Social, Emotional, and Academic Development. 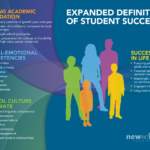 This brief represents a major, foundational step in our journey to help educators, parents, and communities create learning environments—in and out of school—that support the development of students and enable them to succeed in academic and civic life. In short, it is a must read for anyone who cares about how we educate our young people. The brief features statements—drawn from the fields of neuroscience, education research, medicine, economics, and psychology—that articulate a scientific consensus regarding how people learn. 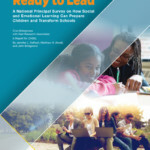 The report affirms the interconnectedness of social, emotional, and academic development as central to the learning process, advancing the field beyond a debate about whether schools should address these dimensions of learning to a focus on how schools can effectively integrate them into their daily work. We knew the brief by the Council of Distinguished Scientists was a major contribution to the field. Even so, the overwhelming response surprised those of us who understood the significance that such a unified voice would have within the education community. The release was featured in Education Week, Politico’s Morning Education, and Education Dive. More than 1,000 individuals have tweeted about the brief, including a whole array of “influencers,” garnering more than 10 million impressions. What’s most striking about this response is the enthusiasm from educators. Practitioners know firsthand that social, emotional, and cognitive domains are interdependent in learning. As the Council of Distinguished Scientists builds upon this evidence base to move the field forward, the National Commission’s complementary Council of Distinguished Educators has asked for more. This 35-member council of practitioners from across the country wants to know how it all fits together. They’ve called for the Council of Distinguished Scientists to use the next generation of research to provide clarity and direction about how to make these insights tangible for themselves and their students. What are some ideas the educators believed should be considered? First, the field is complicated by too many potential skills and constructs with considerable overlap. Educators want clarity on the many social and emotional constructs, and they want these constructs aligned within a framework for a young person’s developmental progression throughout the school years. They also want guidance about practical ways to assess students’ social and emotional competence and how to use that information at the classroom and school level to enhance students’ positive growth and development. Beyond the need for a developmental framework, we all know that the social and emotional environment of a school, in addition to a well-structured curriculum and well-delivered instruction, is critical to academic learning. But further study of efforts to improve school climate, and the impact of such efforts on student learning and behavior, is needed. Finally, the literature demonstrates that supporting positive social, emotional, and academic development is highly valuable for the success and well-being of individual students and society at large. Importantly, research can help us better identify how to support social and emotional skills across socioeconomic and geographic differences. Specifically, we know that children from varying geographic, socioeconomic, gender, and racial/ethnic backgrounds can experience the same environment differently. But we need more research to understand how to better support this diversity of students in a culturally and contextually sensitive way. At this point, the scientific evidence is irrefutable. It’s now time to shift the focus of research to closing the gap between what we know about how students learn and how to best facilitate learning in our classrooms and schools. 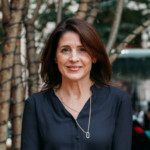 Jacqueline Jodl is the Director of the National Commission on Social, Emotional, and Academic Development at the Aspen Institute. What question(s) do you have about how to do SEL that you wish research would help answer? 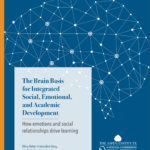 If the brain connects social, emotional, and academic learning, why don’t we do so more intentionally?